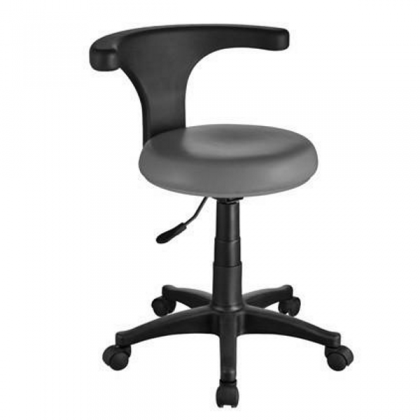 Hydraulic stool Button + is a flat seat stool with a medium size backrest. The backrest is curved for lumbar support and comfort. It has one lever to control and adjust the height. 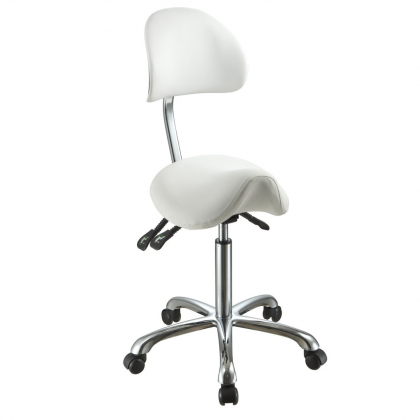 Hydraulic stool Lolli SB is a flat seat stool with a wide backrest. The backrest is curved to provide maximum comfort as well as lumbar support. the two levers control the height and backrest. Hydraulic stool PediPodo is a very versatile stool. It has a flat seat and the backrest can rotate 360°. Allowing it to act as an elbow and arm rest. A very unique design that would work well in any environment. 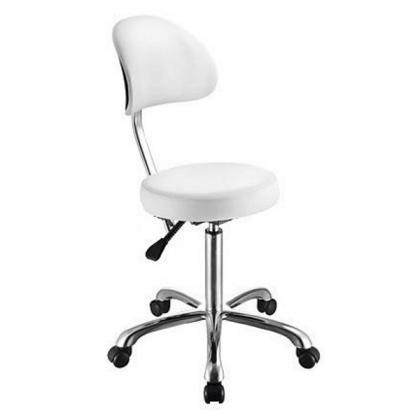 Hydraulic stool Lolli SC is a flat seat stool with medium size backrest, it is curved for comfort and support. The two levers control the height and the backrest.